This inviting porch swing may become the most popular seat in your house! Our comfortable swing offers plenty of room for two adults. 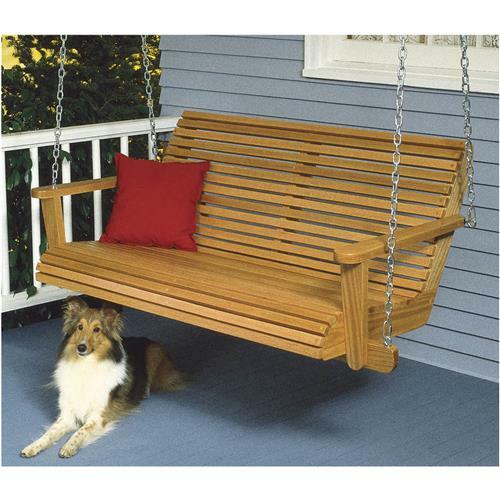 It?s made of durable white oak, and hangs from sturdy chains.